I remember when my grandparents returned from their trip around the world. They came back with wonderful stories that left me wide-eyed. Even so, they concluded that there was no place like home – and they were happy to return to what they considered to be the greatest country on earth, the United States. It struck me then that traveling can be great fun, but that one shouldn't overlook the wonders that surround us here. Such is the case with Foxwoods' poker room. Foxwoods is my home poker room. It was the first poker room I ever visited; the first place I played in a tournament; the first place I won a tournament; the place where I've played the most hours by far; and the place with which I'm most familiar. Though I travel far and wide to play this great game, it's to Foxwoods that I always return. Foxwoods is the largest casino in the world, with over 340,000 square feet of gaming space, 1,400 hotel rooms, 35 eating establishments, over 40,000 visitors each day, and a total of 4.7 million square feet of total space in the entire complex. They have great entertainment in their lounges and on stage, and they feature championship-boxing matches at least a few times a year. There are the fine shops, restful spa and exercise rooms, and high-quality golf course you'd expect at a luxury resort destination. Foxwoods is also known for having the finest Native American museum in the world. But for me, a serious poker player, all of this pales by contrast with the poker room – one of the two best, in my opinion. After the Commerce Casino in Southern California, Foxwoods is the largest poker room in the world, with 123 tables (not including an additional 100 that are set up during their large tournaments). Foxwoods offers a great variety of games. For the low rollers there are usually eight to twelve no-ante $1/3 and $.50-ante $1/5 7-card stud games, and easily a dozen $2/4 and $4/8 limit hold'em games. For the mid-limit player there are usually six to twelve $5/10, $10/20 and $20/40 stud games and a similar number of $5/10, $10/20 and $20/40 limit hold 'em games. For the no-limit hold'em player there are often eight to twelve $1/2 $2/5, $5/10, and $10/25 games. And for the high roller, there is always at least one $75/150 stud game and a table or two of $50/100, $75/150, or $100/200 mixed games like Omaha-8 and Stud-8 or H.O.S.E. There's usually a game or two of $4/8 or $8/16 Omaha-8 to round out the mix of cash games in the poker room. But that's not all you'll find in this great room. Foxwoods has two World Poker Tour events each year, the World Poker Finals held in the fall and the Foxwoods Poker Classic held in the spring. They each feature many large tournaments, including a $10,000 no-limit main event that's televised as part of the World Poker Tour. Leading up to each of those tournaments are feeder tournaments and satellites where players can earn seats. This year, Foxwoods is featuring a new tournament as well, the Mega Stack Challenge – a $3,000 event with 30,000 in starting chips. Foxwoods has a schedule of 17 weekly tournaments as well. These change regularly to reflect the changing interest of the players. Right now, 90% of the tournaments are no-limit hold'em, with buy-ins ranging from $100 to $560. But there are also a few other tourneys – one 7-card stud tournament on Mondays at noon, a limit hold'em tourney on Thursdays at noon, and an Omaha-8 and Stud-8 that rotate each week on Wednesday at noon. The house takes a considerable rake on these events – equal to 23% on the smaller buy-in events and roughly 15% on the larger buy-in tourneys. The room is rounded out with regular sit-and-goes, costing $120, $230, or $550. They go off as soon as there is a full table of interested players. From my experience there tend to be at least a couple going and a couple getting started at all hours, from 10 AM or so until about 1 AM. Foxwoods does not allow eating at the table, though there is free tableside drink service. If patrons want to eat, there are plenty of options, including the Fifth Street Café, an excellent, high-quality cafeteria immediately adjacent to the poker room. They have all of the usual snack bar food as well as freshly sliced roast beef and turkey, brick-over pizza, large freshly prepared salads, and excellent overstuffed sandwiches. Prices range from $6 -$14 or so for nearly all entrees. The room is not without its drawbacks. Though I have found senior management to be accommodating and helpful when I have had a problem, there tend to be many inexperienced dealers, especially during large tournaments. This can be frustrating, especially for veteran players who find themselves arguing over rules new dealers don't fully understand or properly interpret. Comps for players tend to be modest, $.50 for the low-stakes games, $1.00 for mid-limit players, and $1.50 for the highest players in the room. This compares unfavorably to Atlantic City and California poker rooms but is about on par with what Las Vegas rooms and the rest of the rooms in the United States offers. The rake is about average. The general rake is 10% up to a maximum of $4.00. No-limit games and higher-stakes games charge by the half hour: $5.00/half for the $1/2 no-limit game, $7/half for $5/10 no-limit, and $8/half for $75/150 limit. There is an automated sign-in procedure, so you don't have to wait in line to sign up for your favorite game. This is displayed prominently throughout the poker room on electronic screens. A well-amplified brush calls players into games and announces when the sit-and-goes are full and ready to begin. There are no chip runners any more. 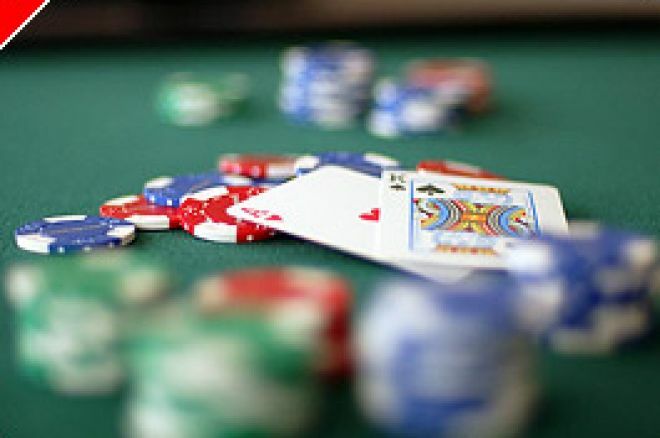 Players often have to buy chips at the cashier when the dealer doesn't have an ample supply of chips at the table. There are safety deposit boxes for the frequent visitor, and even a high-stakes lounge that full-time players can qualify for. The room is often very busy, especially on weekends. Waits for some games can be hours, though I have never waited more than an hour for a mid-limit stud game or no-limit game. The quality of the players tends to vary. The $1/2 no-limit game – which is probably the most popular poker game spread at Foxwoods — tends to be populated by many weak players, often very new to the game. Not surprisingly, as the stakes go up the quality of opponent does as well, though players who like to gamble it up seem to get themselves into all level of games that I've played in. Room rates tend to be expensive, especially during the weekends. There are deals to be had, however, especially during the late fall until the late spring during the week, when Foxwoods promotes $69/night discounted rates to its frequent visitors. There are also a number of fine local motels and bed and breakfasts with rates in the $50-60 range. My advice is to plan your overnight stay as far ahead as possible, and check out all of the neighboring motels in Stonington, Ledyard, New London, Mystic, Groton and Norwich before you commit yourself. Some of the motels have shuttle buses to the casino. Foxwoods is also accessible by bus or car. The nearest airport is T.F. Green just east of Providence, about 40 minutes away. There are numerous buses from Boston and Providence, costing roughly $25 roundtrip, with the free coupons handed out to all passengers worth more than that. I paid $24 on a bus from Boston and received a free buffet dinner, worth $14, a free Keno slip worth $10, and a free $10 match play for blackjack or roulette. $34 in coupons for a $24 ticket – and a ride to and from the casino. Not a bad deal. As the price of gasoline rises, I take the bus more frequently. I can usually find one leaving early in the morning and returning late at night. When all is said and done, with Foxwoods as my regular casino, there's no place like home.